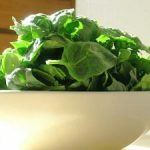 When it comes to making a green smoothie, romaine lettuce is a popular option as a base ingredient. 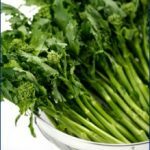 For a leafy green vegetable, it has a mild taste that can easily be disguised with the natural sweetness of fruit. This is one reason why I am so fond of using it in green smoothies. Per head, romaine lettuce contains 17% protein and 7.7 grams of protein. 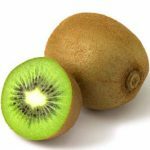 It is a complete source of protein, because it contains all 8 essential amino acids. 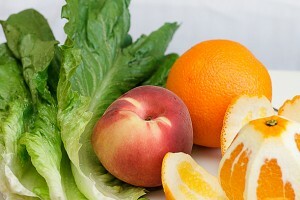 Romaine lettuce contains more Vitamin C than oranges. 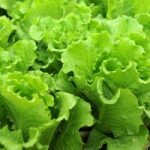 A single head of romaine lettuce has 167% of your RDA for Vitamin C.
It has Omega 3 fatty acids! One head of romaine lettuce contains 44% of your RDA for the healthy Omega 3 fatty acids. 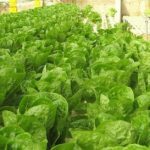 One head of romaine lettuce contains 6 milligrams of iron! 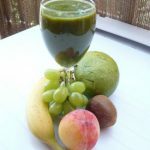 Start preparing this green smoothie by peeling your oranges with a knife and cut it into pieces. Next, cut your peach in half, pit it, and chop it into small pieces. Add all of your ingredients into the blender, one at a time, and blend them together on high for 1-2 minutes. 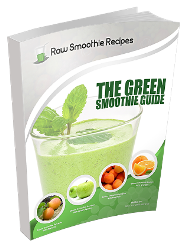 Making this green smoothie will take about 10 minutes of your time, and the recipe makes about 4 cups of green smoothie. If you need too, you can easily double the ingredients. My kids even like this one, and I think yours will too. Drop me a line and let me know what you think of it! I just made this and my 14 month daughter and I are thoroughly enjoying it. Thank you very much.